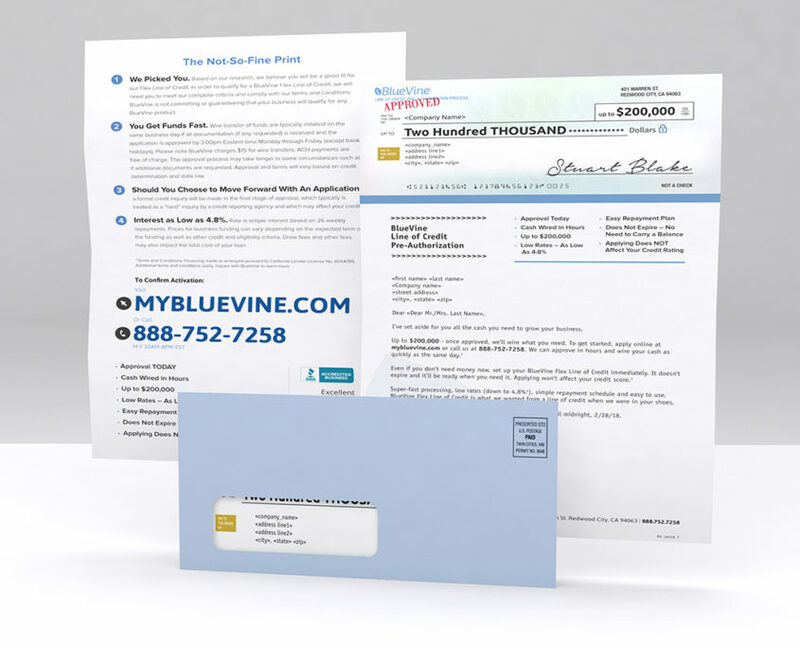 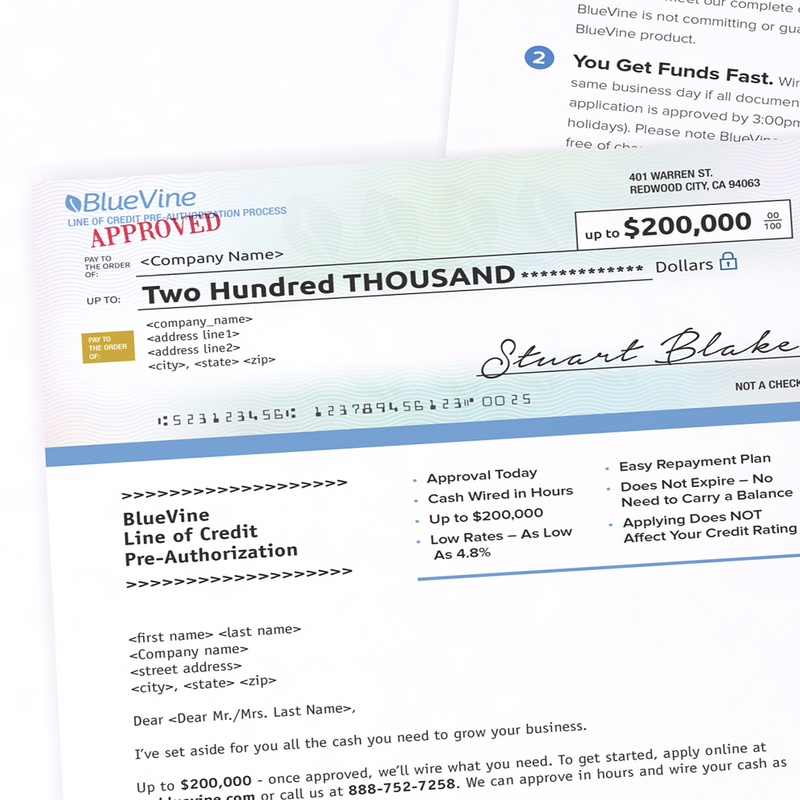 Blue Vine Direct Mail – David Safanda Design Solutions Inc.
BlueVine is a leading online provider of working capital financing to small businesses. 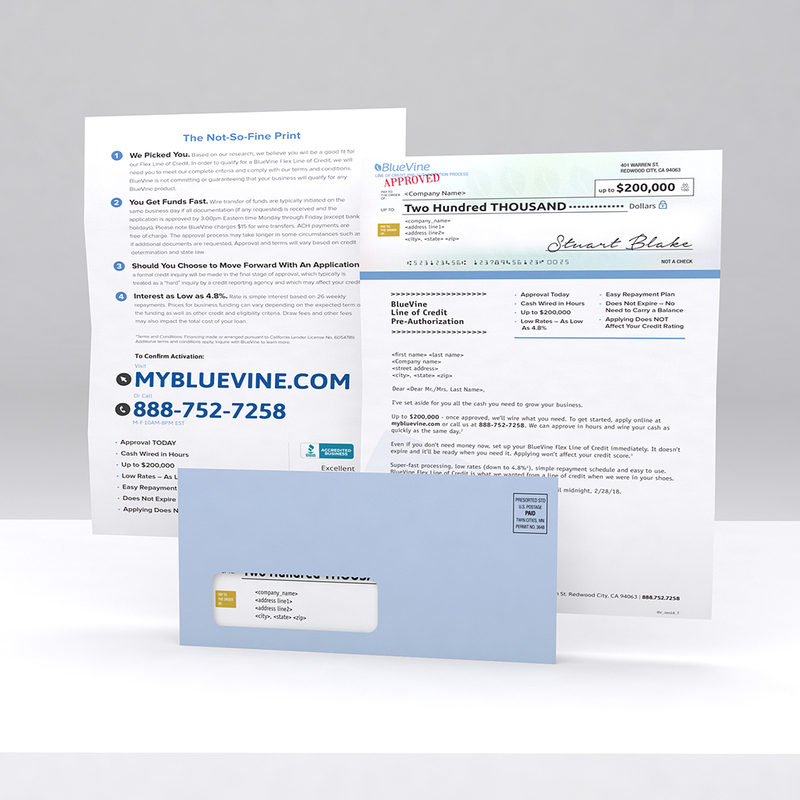 This project involved developing the visual design for a direct mail piece offering a pre-authorized line of credit to business owners. 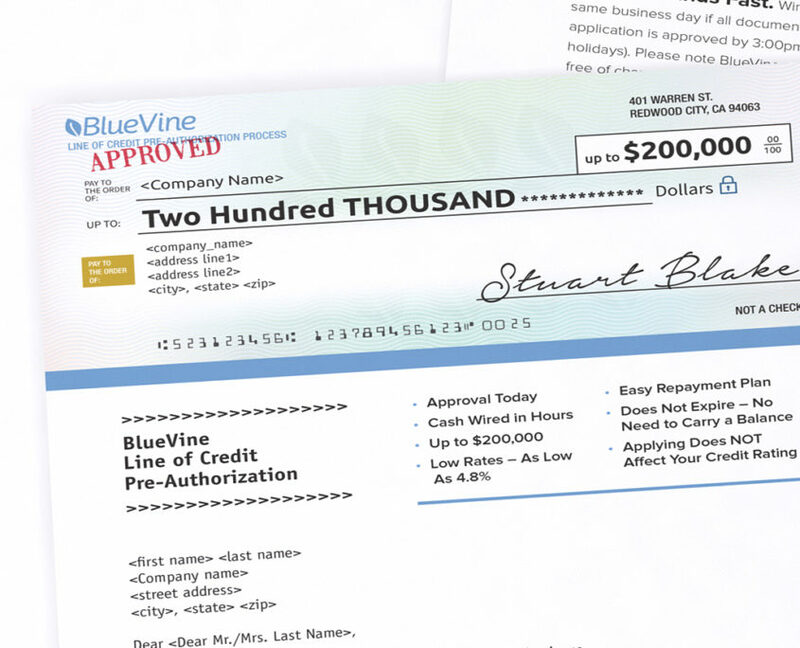 This consisted of a double sided personalized letter in a #10 envelope.